2200 real estate exam questions online with rationales, instant grading and a detailed test tracking system. 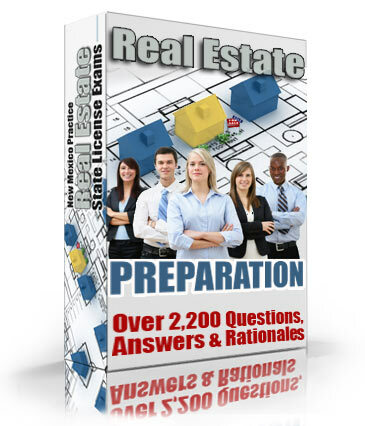 Preparing for the real estate exam does not have to be a painful experience. Utilize our online tests to sharpen your skills and you will be on your way to a successful career in real estate in no time. Developed by top notch real estate agents and brokers, this online training program allows you to instantly create your own practice tests online and then see your results. Our real estate test questions are an essential study tool for those who are taking their real estate exam in the near future. It's quick and easy. Just login, choose the category of question you would like to test on and generate an exam instantly. Take the exam online and then grade it with the click of a button. It's that easy. The real estate exam is stressful regardless of what anyone says. Build your confidence and peace of mind with our proven system of practice testing that gives you instant exams , instant grading and most importantly results. Study past real estate exams and review your results with detailed cumulative scoring and test tracking. It allows you to watch your progress the entire way as you better your weak areas and fine tune the areas that you are already strong in.